It was dragged down by the lack of big-ticket investment deals. Retail investment sales slipped by 6.2% YoY from $32.2b to $30.2b in 2018 as sales in retail, office and industrial sectors declined. According an Edmund Tie & Company report, residential investment sales still account for most of the overall real estate investment sales at 51.9% ($15.7b), marking an increase of 8.9% YoY. 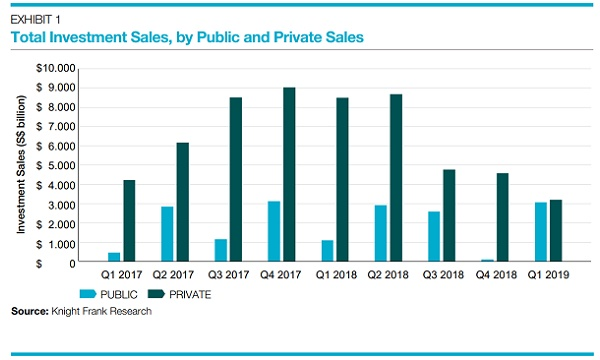 However, private residential sales fell by 10.6 per YoY to 21,657 units in 2018. The sector’s sales moderated during the second half of 2018 due to the cooling measures that were introduced. 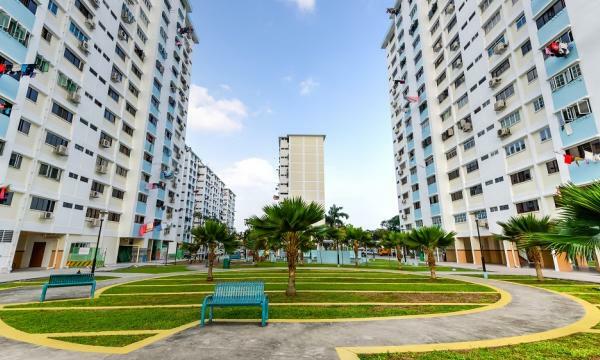 It is also warned that economic uncertainties will continue to affect the sector, especially for en bloc sales wherein developers are reassessing their development pipeline. Office gross rentals in the central business district (CBD) went up by 6.8% to $9.50 psf per month. Higher rents were driven by the growing market share of co-working space and demand from technology and FinTech firms. Industrial investment sales, which occupied 11.3% of total investment sales, fell 16.9% YoY. However, the report’s authors noted that industrial performance was somewhat mixed and varied based on the factory type and location. Average gross rents of islandwide high-tech industrial spaces rose 0.5% to $2.90 psf per month whilst those of business parks increased by 2.1% to $4.65 psf in 2018. “From Q4 2018 to 2022, an estimated 22.2 million sqft of private industrial development space is expected to come online. However, approximately 68% of this new supply is owner-occupied i.e. comprising singleuser industrial developments; and extensions, additions and alterations to industrial properties,” said Ong Choon Fah, CEO of Edmund Tie & Company. As for the retail sector, rental growth was not broad-based across the island-nation. Average gross rents for prime first-storey retail space in Orchard/Scotts Road increased 1.5% YoY to $37.80 psf per month whilst rents in the other city areas remained flat at $19.80 psf. Rents are expected to remain stable as retailers are adapting to the growing presence of e-commerce, technology and consumers’ changing palette. expected to shift focus to income-generating assets especially the office sector which has performed well in 2018 compared to the other asset classes,” Ong added.